They might have been a little late, but the timing was perfect. Two local nonprofits, Local First and San Juan Citizens Alliance, recently filed a motion supporting Delta-Montrose Electric Association in its bid to grow its renewable energy portfolio and take on Tri-State Generation and Transmission in the process. 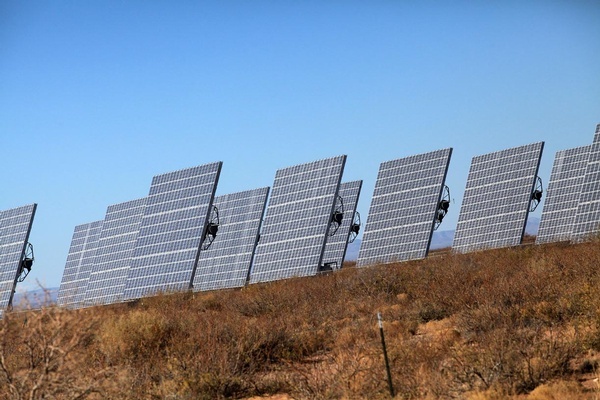 Although, the groups didn’t make the deadline and can’t officially be considered in the case, their efforts put the spotlight back on the issue of renewable energy generation in the Southwest and a desire for local energy independence. Local First, a nonprofit business alliance serving La Plata County, and San Juan Citizens Alliance, a Durango-based conservation advocacy group, co-authored a motion to intervene, which is like a letter of support, in the case between Delta-Montrose and Tri-State. The motion essentially backs a 2016 decision by the Federal Energy Regulatory Commission that gives Delta-Montrose the ability to get more of its energy locally. Several years ago, Delta-Montrose, a regional electric cooperative, wanted to work with a small hydroelectric power producer in their area. erate to just 5 percent of its total power needs. The other 95 percent must be purchased from Tri-State, and Delta-Montrose was already at 5 percent. But, there was a way to sidestep the cap. PURPA, or the Public Utility Regulatory Policies Act of 1978, was originally passed in the wake of the 1970s oil crisis that left Americans fighting over limited supplies of gasoline. The law was meant to encourage energy conservation, efficiency and development in renewables. One of the ways the law achieved its goals was by creating what’s called “qualifying facilities.” Projects with qualifying facility status got special rate and regulatory treatment, making it easier for small power producers to get in the energy game. So, Delta-Montrose asked the Federal Energy Regulatory Commission, or FERC, to give its hydroelectric project qualifying facility status. The federal agency did. In response, Tri-State created a cost-recovery mechanism, which would allow it to recover the revenues lost as a result of Delta-Montrose going over its 5 percent cap. FERC, however, put the kibosh on this idea. Not only was this a win for Delta-Montrose, it signaled to other co-ops, including LPEA, that they too could expand their renewable energy portfolios by tapping qualifying facilities. Mark Pearson, executive director for San Juan Citizens Alliance, said one of the volunteers for the conservation organization, Jeff Bork, really sparked the conversation about qualifying facilities and their potential to open the door for local renewable energy. But these discussions also coincided with recent changes to the commission. The original decision in the Delta-Montrose case was actually made by staff of the Federal Energy Regulatory Commission. When it was handed down in 2016, Tri-State requested the commission take a look at the staff’s decision and reconsider it. At the time, however, there were several seats open. This meant there weren’t enough commissioners to hold a quorum and they couldn’t take up the issue until more members were confirmed. New commissioners, who are appointed by the president of the United States and confirmed by the U.S. Senate, were recently appointed by the Trump Administration. Because of the long delay, there’s a backlog of items for the new commission to tackle, and there’s no telling exactly when they’ll get to revisiting the Delta-Montrose decision. Nevertheless, Local First and the Citizens Alliance wanted to speak up because they believe the commission’s ultimate decision matters to Southwest residents. If the commission does not allow Tri-State to move forward with its cost recovery fees – or the “Tri-State Tax” as DiGiorgio called it – the door would be open for more small, locally-based renewable energy projects. And that is something Local First and Citizens Alliance want to see. Another way some LPEA members are looking to achieve independence is to buyout their contract with Tri-State – a debate that has been playing out recently in the pages of local papers, including the Telegraph. Some would prefer to buyout the contract today. Others are seeking a more tempered approach when it comes to transitioning to local renewable energy. One of the things everyone does agree on is that the landscape of the energy industry is changing – and fast. For some, this means the co-op should be careful not to chase the latest trends and take risks with member’s money – many of whom can’t afford to pay the price for mistaken investments. For others, the time to act is now – before the boat sails and it’s too late to make a difference. There is, however, common ground between the two. Most recently, the LPEA Board of Directors voted unanimously to create a subcommittee tasked with exploring the possibilities for the co-op’s future. pursue over the next 15 years,” according to the co-op’s website. One thing the committee will not be doing is calculating exactly how much it might cost to buyout the Tri-State contract. With the ever-changing energy landscape, it turns out it’s not so easy to come up with a number. whether Kit Carson is a comparable model for LPEA or not. For example, LPEA focuses solely on electricity. Kit Carson has several other ventures, including telecom, propane and broad-band. generate 35 megawatts of solar energy – in an effort to be able to provide members with 100 percent of their electricity during the summer, daytime hours by 2023. But generating that much electricity with solar might not be an option for LPEA. The landscape in LPEA’s service territory isn’t suited for all types of renewable energy. Wind farms, for example, wouldn’t work, according to Pearson. But other types of facilities would, like small hydro and solar arrays. DiGiorgio said it would likely take a mix of options to achieve independence. Not just utilizing local generation options, like the ones Pearson suggested, but also working with power brokers on the open market. It’s a resource Kit Carson tapped to supplement its needs, contracting with Guzman Energy, a Florida-based group with offices in Denver. The goal for Local First and the Citizens Alliance is to have 80 percent of the energy in LPEA’s service territory generated locally by 2030. It’s a goal DiGiorgio thinks is achievable – as long as Tri-State doesn’t thwart progress. For example, there’s one local renewable project still waiting to get off the ground, and the roadblock has been Tri-State. that basically turns wood waste into electricity. His project is not just about the power; it’s also a tool for fire mitigation. LPEA officials had said they were willing to offer a higher price for Ford’s biomass energy, but they couldn’t afford to go as high as Ford needed to make it work. The key player was Tri-State. If the energy supplier paid a little more, they all might be able to move forward. So far, though, Tri-State hasn’t agreed, and the project sits in limbo. The most important number in Ford’s biomass project was also the key number in the FERC decision – the minimum price Tri-State and LPEA pay for power. When LPEA negotiates with an energy provider like Ford, the rate the co-op can offer depends on Tri-State’s numbers. The two amounts are basically hitched. But, the 2016 Delta-Montrose decision from FERC unhitched the two rates. Under that, LPEA would no longer need to offer the same rate as Tri-State and, more importantly, wouldn’t be required to pay the difference between the two. That’s why Local First and the Citizens Alliance filed their motion. If Tri-State can dictate the price of electricity in cases like this, Pearson said, some qualifying facilities might not step forward. But if LPEA isn’t limited by Tri-State’s rates, it would have the opportunity to work on projects, like Ford’s, as well as explore new opportunities. “There’s a lot of innovation that would be unleashed,” he added. While everyone waits for word from FERC on the Delta-Montrose decision and LPEA’s subcommittee begins to tackle the co-op’s future, LPEA and its members are preparing for the board elections to be held this April. Currently, the co-op is accepting submissions from potential candidates. All the paperwork is due by 1 p.m. on Wednesday, March 14, and can be turned in at the Durango or Pagosa Springs offices. “We try to support candidates that are the most creative and provide leadership on local renewable energy,” DiGiorgio said. One thing’s for certain, no matter who throws their hat in the ring, local renewable energy will likely be a hot topic during the elections. 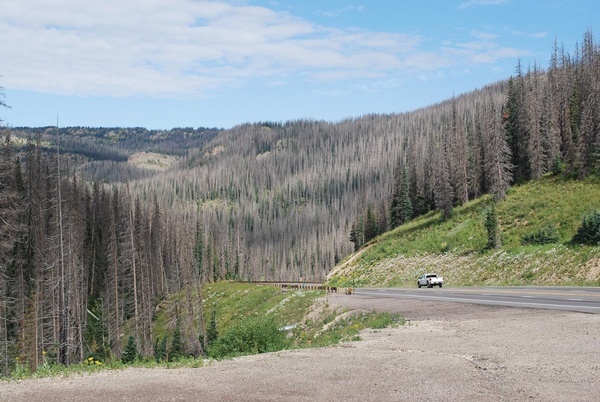 In the eastern mountains of the Rio Grande National Forest, biomass projects that turn wood waste – like dead beetle-kill trees – into energy could create power and help with fire mitigation.